Well there is another year done and dusted - doesn't time fly when you're having fun! I thought a nice way to end the year would be to reminisce a little over some of my favourite moments of 2018, so here are my top 5! Who knew this time last year, that the decision would be made to move The Flower Studio from Tynwald Mills to an industrial unit in Douglas! It was a nerve-racking time and boy did we have a lot of stuff to sort out and shift! It has been great fun sharing the space with Annabel and her Flapjackery, and not just for the smell of freshly baked sticky ginger cake wafting in from her kitchen! Now 6 months down the line and we are nicely settling in our new home and looking forward to all the floral adventures we are going to have in 2019! My best mate for way too many years to count married her soulmate and yep, I was Bridesmaid! So no pressure at all there then? 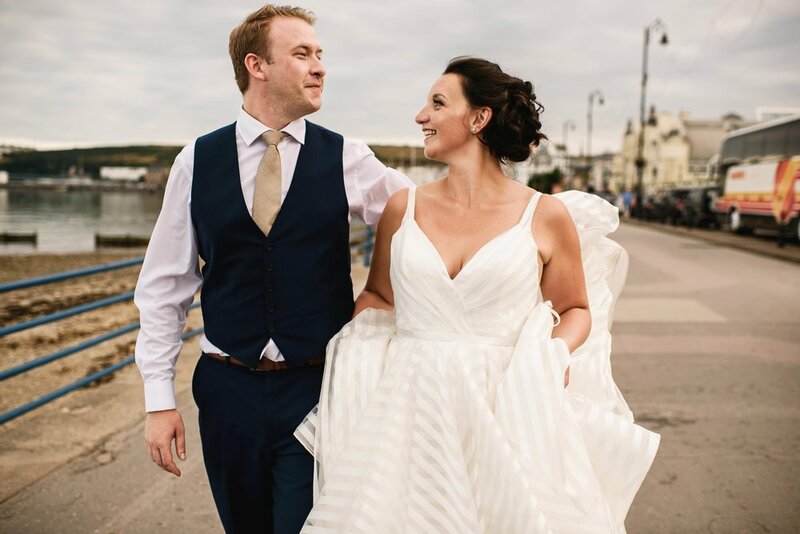 Nicola knew exactly what she wanted and her choice of bright sunflowers were perfect for her garden inspired wedding - see more of their day over on My Manx Wedding. My other best mate and business partner over at She Event Styling married her handsome groom on possibly one of the hottest days of the year! There was no particular theme to their day but guests could tell instantly that it was all about them - their love of food, travel and Emma's talent with calligraphy and styling. Another fantastically creative couple who's day was inspired by their love of Glastonbury which was where Adam proposed. They spent two years collating and creating for their big day and even had a rabbit hole for their guests to 'tumble down' into the reception. The weather was perfect for their outdoor ceremony in Sulby Valley and I was lucky enough to witness some of the 3 day festival festivities when asked to help my unit neighbour Flo the Coffee Van serve breakfast & lunch to their guests. See more of their wedding featured on Rock n Roll Bride. I was excited about this from the minute Annabel shared it with me and asked if I wanted to host some workshops - a magical family friendly festival with creative workshops for all ages, as well as delicious food and the best of the local musical talent from the Isle of Man. Even the fact that Mannanin decided to cover us all with a cloak of mist for the entire weekend wasn't enough to dampen peoples spirits! Ticket are on sale for The Great Manx Shindig 2019 here! Don't miss out! 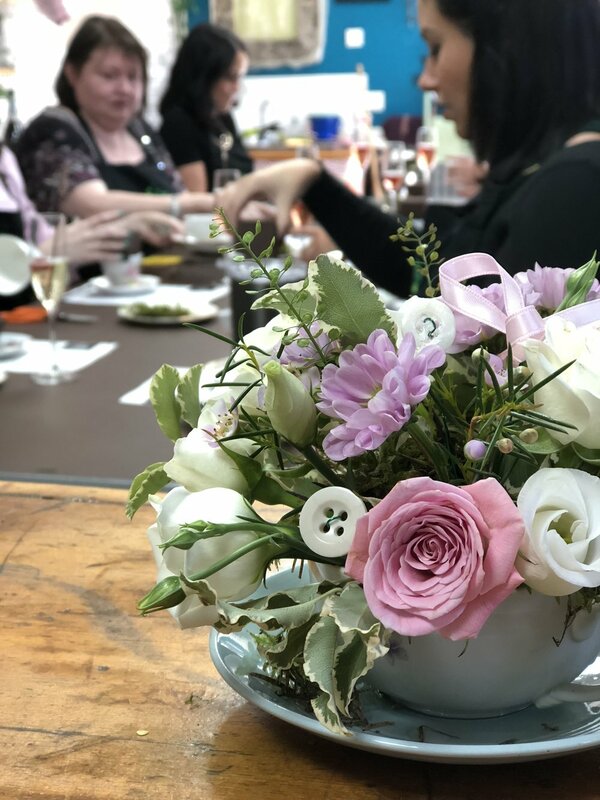 This year has been a bumper year for our flower workshops, with some of the Christmas dates selling out within a day of them hitting the website! From macrame & floral teacups to Autumn wreaths and Christmas table centres they have all been so much fun and for me, the best bit for me is when someone comes along and is unsure of their creative talent and leaves with a beautiful design that they are really proud of! 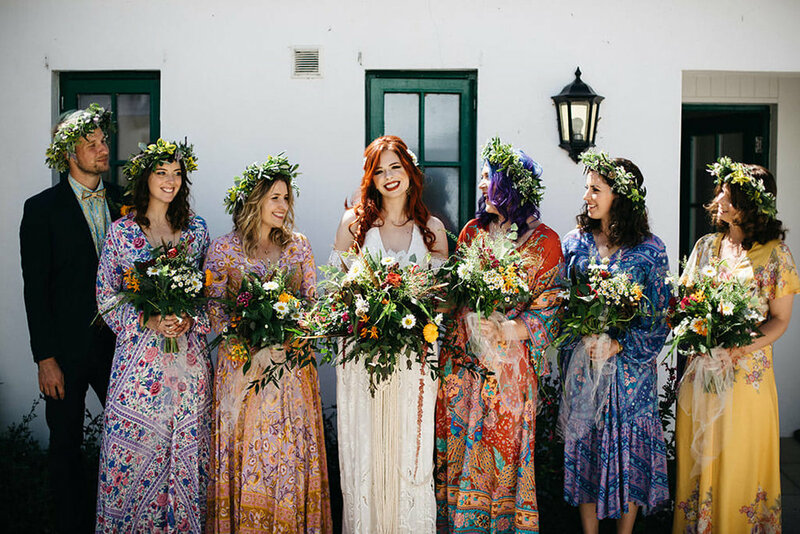 I love working with other creative businesses, and the Autumn photoshoot (with She Event Styling, Oh My Pen & Press, Jewell, Glampervan, Butterfingers, Bridal House & Hair Design by Bethany) is probably my favourite of 2019 - a bohemian style set on a working farm, it combined so many beautiful things and hopefully provided lots of inspiration. The full shoot is on She Event Styling's Blog here. I'd say that's it, but it really is just a snapshot of all the flowery fun I've had this year, so I'll raise a glass and just say thank you for all your support, inspiration and laughs and wish you all a very happy New Year!